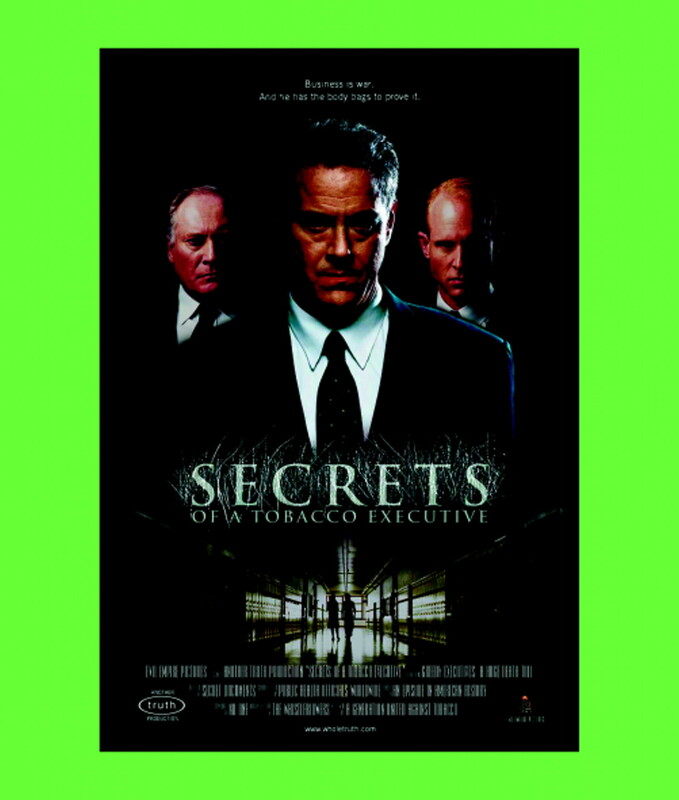 “Truth”, the unconventional counter-marketing effort which helped bring about these results, had its origin in the 1997 settlement between the tobacco industry and the state of Florida. Understanding the importance of prevention, the legislature and the late governor, Lawton Chiles, earmarked a portion of settlement funding for the creation of a dedicated anti-tobacco counter-marketing effort with the sole focus of reducing youth prevalence. In early 1998 our advertising agency, Crispin Porter & Bogusky, was hired to manage the account and create anti-tobacco advertising targeted at youth. In attributing successes or failures, it is often very difficult to isolate a single component that evidence points to being most responsible. The Florida programme is no different. To assist those involved in similar programmes, I have assembled the following overview of the key elements which collectively made “truth” successful. Florida's settlement with the tobacco companies totalled $11.3 billion dollars and included provisions for the funding of a two year $200 million dollar youth anti-tobacco education and marketing programme. With the launch of “truth” in early 1998, Florida became the first state to use substantial settlement dollars in tobacco control. While money alone was not the solution, it would be remiss to not attribute some of the success to the unprecedented funding that made it possible. Unlike some anti-tobacco efforts of the past, due to its funding level, the Florida programme had the benefit of all the tools of modern marketing. Advertisements were produced with some of the hottest commercial directors in the industry, web sites were created using the newest types of animation, and research was conducted by companies that had perfected their craft while working on some of the largest teen targeted private sector brands in the country. The access to considerable funding had the greatest impact on media. Where traditional anti-tobacco efforts used remainder and public service discount weight, the Florida programme bought media on the open market with a year one budget of more than $15 million. Rather than run for free at midnight or in programming with little teen viewership, “truth” aired on MTV, during the broadcasting of the Superbowl (the US football premiership), and in those programmes that youth most wanted to see. The Florida effort was conceived and managed as a business. This was even true in the incentive compensation contract signed with our agency that linked our remuneration with our ability to move quickly, change youth attitudes about tobacco, and reduce prevalence. From the very beginning, youth have driven “truth”. Two months after being hired, we convened a 500 person youth summit to gain insight into where youth felt the effort should head. Through annual summits and the creation of a youth review board, youth became our client. They told us what they did and did not like and provided feedback to help guide the creative process. Importantly, we looked to youth for inspiration and guidance, but did not rely on the youth to actually create the advertising. If “truth” was to be aspirational, relevant, and “cool” it had to be more than a poster contest. Like any engaging brand, the creative work had to surprise and lead the target rather than be based on images they expected. Before taking on the anti-tobacco effort in 1998 our agency had never worked in social marketing or with government. At the time of the pitch our clients included a bicycle company, a basketball shoe company, and a fast-food restaurant, among others. Our bread and butter was using unconventional means to get inside the heads of youth and create compelling advertising from those insights. As we began our research we analysed and qualitatively tested the existing anti-tobacco strategies and creative execution of other states. Since few of these were having an impact on lowering youth smoking prevalence, we turned our attack on the anti-tobacco assignment away from the world of social marketing and toward a place we understood—youth marketing. Looking back, the shift away from established social marketing was a point of inflection that would impact our every step and ultimately define the success of the effort. As we had done in other youth categories, our research was conducted qualitatively with young adult interviewers in places such as malls and skate parks, where youth felt comfortable. Interviewers used bad language and, without really trying, were seen as peers. Trust was built in the information gathering stage that went well beyond any interaction in a focus group. Trust led to real answers. Another example was our approach to planning media. Rather than look at other public health efforts, our media department modelled the launch of “truth” after what had recently been done for other successful youth brand launches. We deconstructed and analysed recent new product launches for Sega, Nintendo, and Mountain Dew as well as youth fashion brands like Vans, Sketchers, and Jnco. With other youth brands as a starting point we assembled the media plan for “truth” that went beyond just television. The launch of the campaign included the publication of a proprietary “truth”, tabloid style magazine which would be distributed in record stores and surf shops, a 10 city public relations tour called “The truth train” and the production of a “truth truck” which became a fixture statewide at concerts, beaches, and raves. Early on in our research we learned two important lessons about the overall tone that we needed to employ for “truth”. Despite the fact that 1200 people die every day from tobacco related illnesses in the USA, youth did not see tobacco as a big deal. Their lives are filled with weighty decisions and influences—the implications of divorce, drugs, unwanted pregnancies, and school shootings. Tobacco prevention did not even register on the scale of importance. If “truth” was to be successful it would need to address the tobacco issue in a way and with a tone that reflected how youth viewed tobacco. Despite the reality, “truth” could not be presented in a life or death type tone. Elevating an issue they saw as unimportant could not be the mission and humour needed to be a part of our execution. While youth had varying points of view, there was incredible consensus around their distaste for social marketing and anti-tobacco efforts that pass judgment on tobacco users. Across the board, youth told us that they did not want to be told what to do. They wanted “the facts” and then to be left to make their own educated decision. If we were to be successful, “truth” could not preach. “Truth” needed a message other than “don't”. After months of research and hundreds of interviews with youth we had a strategic breakthrough. We discovered some basic things about youth and tobacco which seem pretty obvious in hind sight. First, we learned that there was 100% awareness that tobacco killed. Schools and health educators had done a great job of explaining the dangers of tobacco. Knowledge was not the problem. With cigarette in hand, youth would explain how it caused emphysema and that people they loved had suffered the consequences of cancer and other ailments related to tobacco. We learned that a youth's reason for using tobacco had everything to do with emotion and nothing to do with rational decision making. Tobacco was a significant, visible, and readily available way for youth to signal that they were in control. Like piercing an ear or dying hair, using tobacco was a tool of rebellion and all about sending a signal to the world that the user made decisions for themselves. While rather counterintuitive, what made tobacco so alluring to youth was its deadly qualities. The fact that tobacco killed was the unique selling proposition for youth. Generations of well intentioned social marketers had pounded the airwaves doing everything they could to explain that tobacco kills. What they did not understand (and the tobacco industry did) was that they risked actually making tobacco that much more appealing to youth. If we were to turn the tables on tobacco we surmised that we could not take away their tool of rebellion without giving them an alternative. Attacking the duplicity and manipulation of the tobacco industry became “truth's” rebellion. The image on the cover of the journal, and that displayed in fig 1, provide examples of the anti-manipulation strategy. Florida's “truth” anti-smoking advertising campaign exposes the duplicity and manipulation of the tobacco industry with edgy humour. Through our work in other youth categories we knew the important role brands played with youth. In a search to define one's identity, brands (like piercing, haircuts, and even tobacco use) serve as a shorthand way for youth to identify themselves to the world. If we wanted youth to really embrace our anti-tobacco effort, it made sense that we should deliver it just like other successful US youth products, such as Adidas, Fubu or Abercromie—in a branded form they understood. Branding has given the Florida effort the benefit of accumulated awareness. Everything we have created builds on the awareness of the marketing components that preceded it. The temptation when we started “truth” was to make the effort broad enough to encompass all ages and use the funding to tackle social issues beyond tobacco. As much as anything, “truth's” success in Florida has been defined by the ability of the Florida Department of Health and all involved to focus on the one problem of youth tobacco use. Every initiative and line item of the budget has been scrutinised based solely on its impact on reducing youth tobacco prevalence. These seven principles underpin the Florida “truth” anti-tobacco media campaign and, we believe, were critical to its success. Commencing this year, the American Legacy Foundation has expanded and extended the “truth” campaign on a national basis, with funding from the Master Settlement Agreement.3 Other countries who are committed to reducing youth smoking might look to these principles, and to the experience of “truth” in Florida,4 to help design effective youth-focused tobacco control campaigns. (2000) Changes in youth cigarette use and intentions following implementation of a tobacco control program. Findings from the Florida youth tobacco survey, 1998-2000. JAMA 284:723–728. (2001) The Florida “truth” anti-tobacco media evaluation: design, first year results, and implications for planning future state media evaluations. Tobacco Control 10:9–15. Florida Department of Health, http://www.florida.state.gov.us/tobacco. 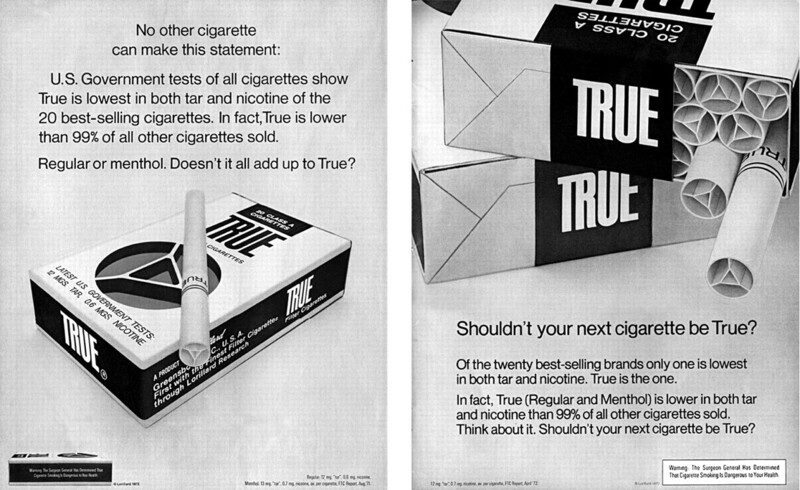 Lorillard's version of the “Truth”? Contributed by Melanie Wakefield.